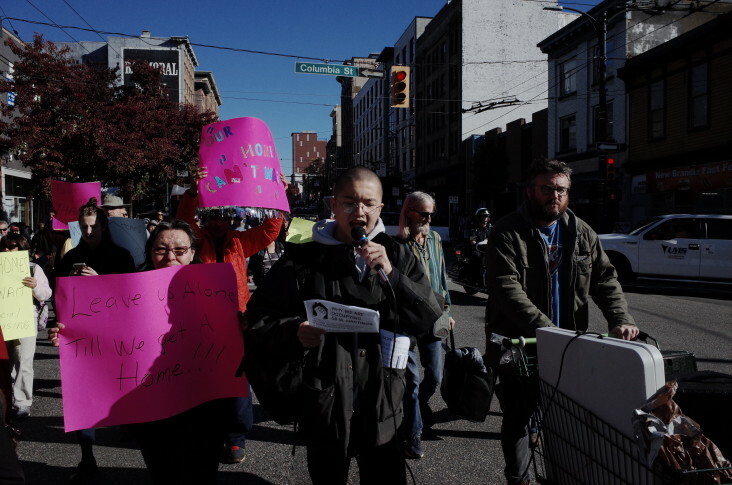 Downtown Eastside residents and organizers are continuing to reclaim 58 West Hastings Street, the still-empty lot at the heart of a years-long battle for social housing. 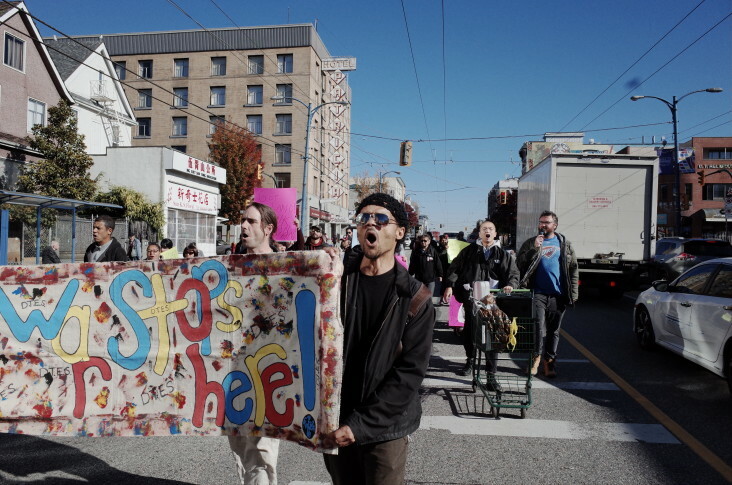 Does the vacant lot represent a hopeful new step in the fight for housing in the DTES? Or with the recent wavering of City Hall, is it the marker of a new round of broken promises from bureaucrats and planners. 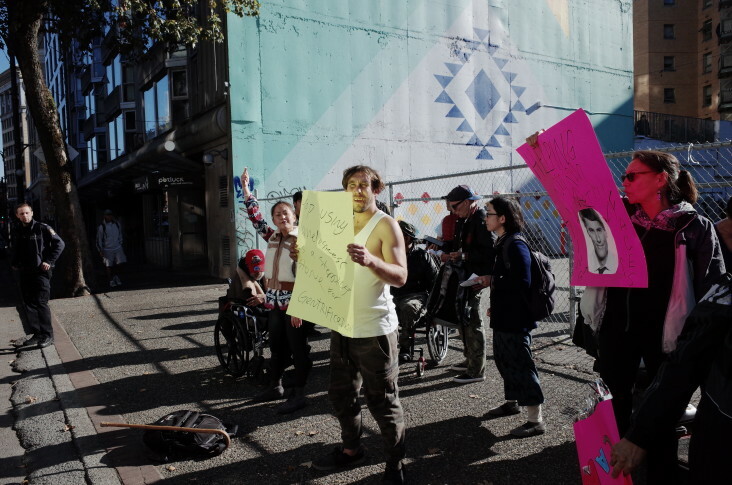 On November 13, 2018, Councillor Jean Swanson put forward a motion for Vancouver City Council to re-commit to its original promise of building 100% welfare- and pension-rate, community-controlled housing at 58 West Hastings. The motion would also direct City staff to report back in one month with at least three sources of revenue, including City sources, to guarantee the pledged rents at the site. 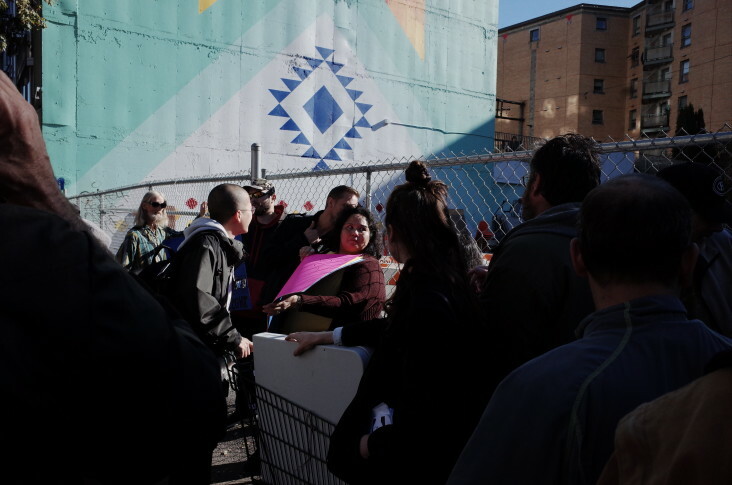 In response to Swanson’s motion, second-term NPA Councillor Melissa De Genova tabled a referral to significantly dilute the City’s responsibility to fulfil its promise at 58. 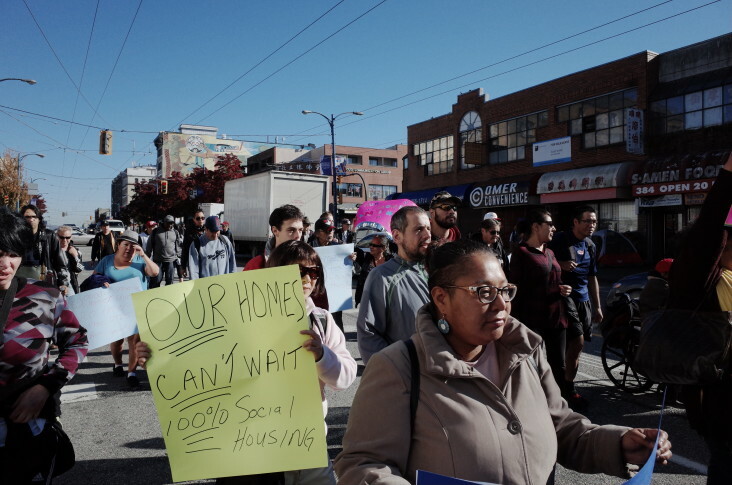 In De Genova’s referral motion, Council reaffirmed its commitment to 100% welfare- and pension-rate housing at the site, but fell back on a caveat that if these rents “could not be achieved” for the building’s 230 units, the City would explore options to fund the construction of 115 units elsewhere in the Downtown Eastside. 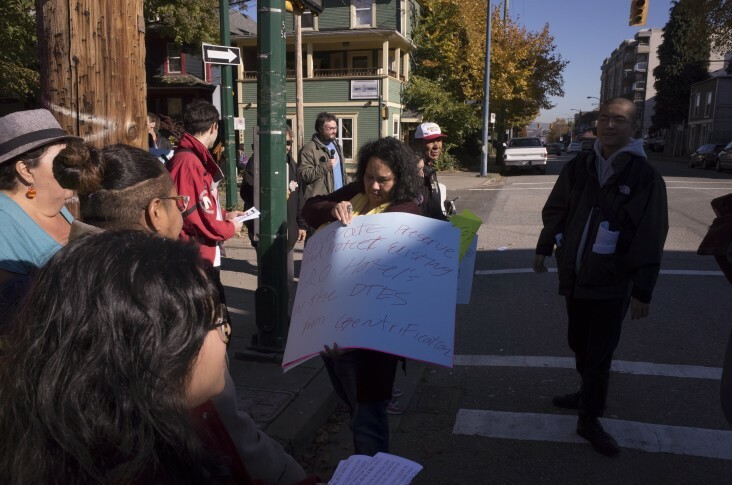 Tellingly, the referral also removed “City sources” from its directive to City staff to explore additional resources for the site. De Genova’s referral motion passed on November 15th in an 8–1 vote; Swanson was the only dissenter. At present, City staff are composing a memo outlining the funding sources needed to secure 100% welfare- and pension-rate housing at the site. Will their findings explore the viability of 100% in good faith? While Gregor and Vision Vancouver were decisively routed from the Council chambers in the 2018 municipal election, their appointed City staff – a non-democratically installed bureaucracy of advisors, administrators, and ‘experts’ – remains firmly in place. 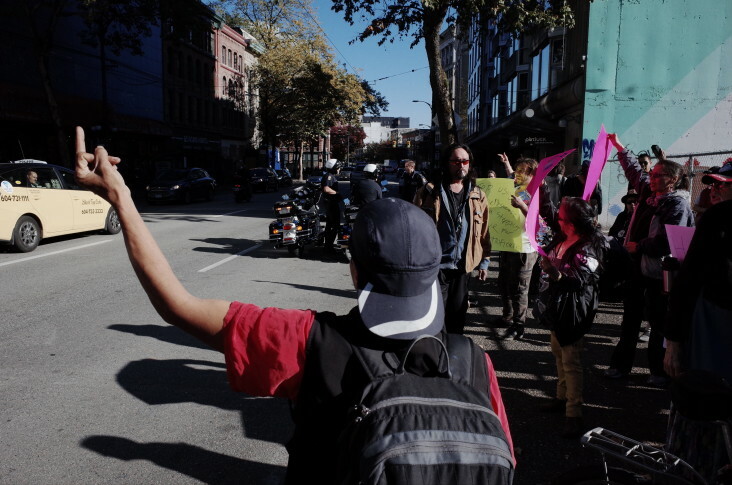 Even as the Council seats were reshuffled in October 2018, the City managers in charge of 58 West Hastings haven’t changed. 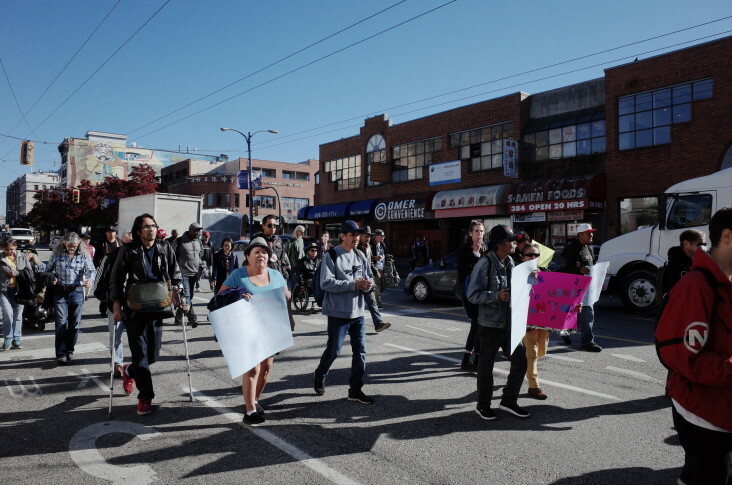 The current limbo of 58 W Hastings also points to Vancouver City Council’s continued loyalty to developers and landlords despite the supposed change of guard at City Hall. 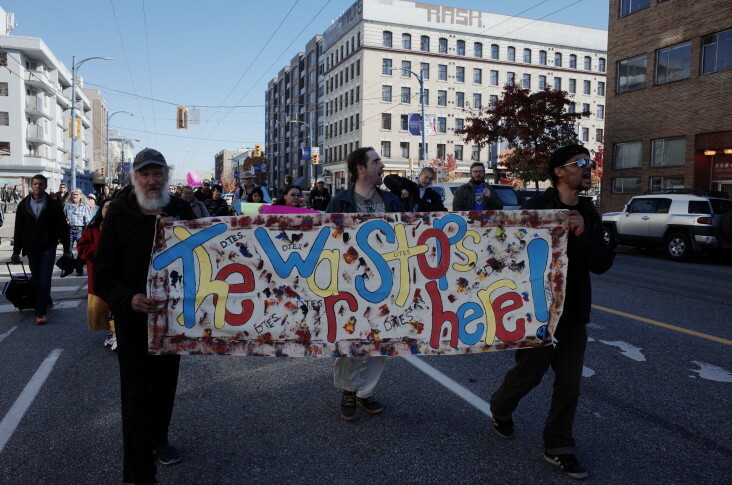 What lies ahead for 58 and the people of the Downtown Eastside? 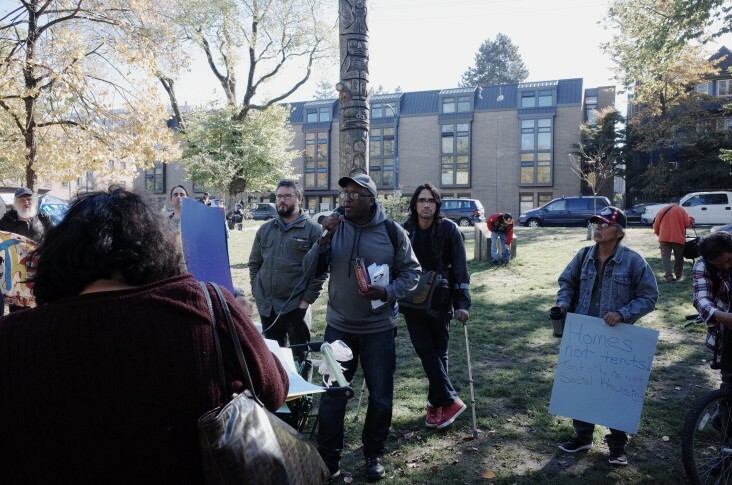 Will the fate of the site, and consequently the fate of Vancouver’s displaced and dispossessed, be decided in the chambers of City Hall? 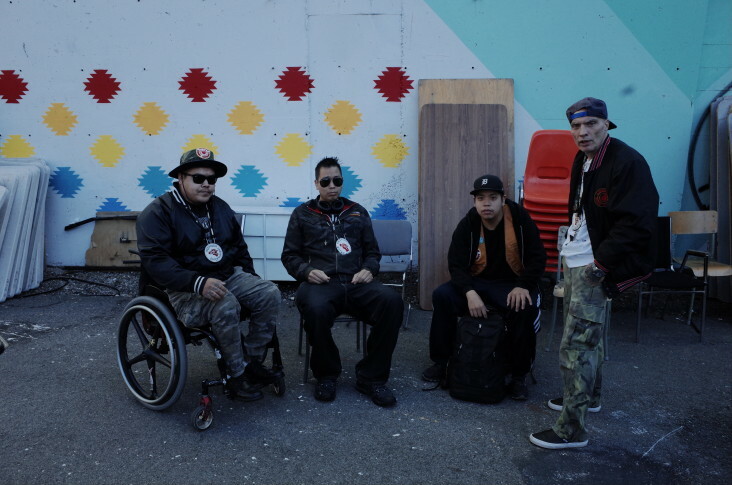 If history has been any lesson, the vision of 58 West Hastings was born and fought for in the streets which means that its future cannot be won otherwise. 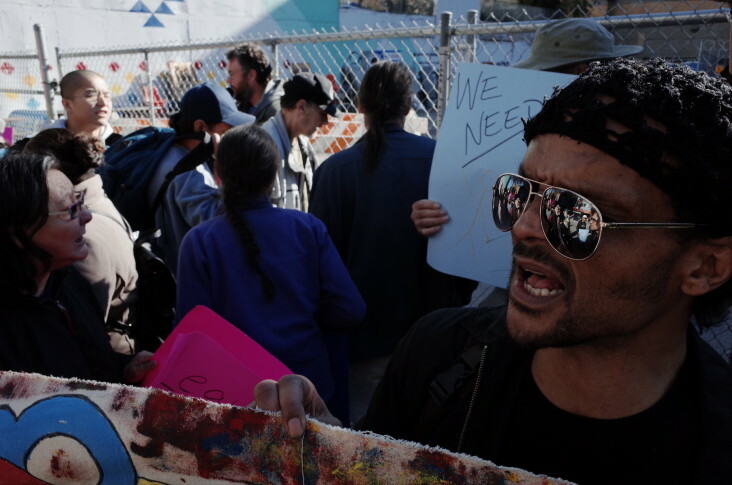 If a right-wing politician is hoping to simply smuggle in legalistic caveats in order to defeat the project, the community is making its riposte and acting with renewed urgency amidst ever-increasing homelessness and evictions. 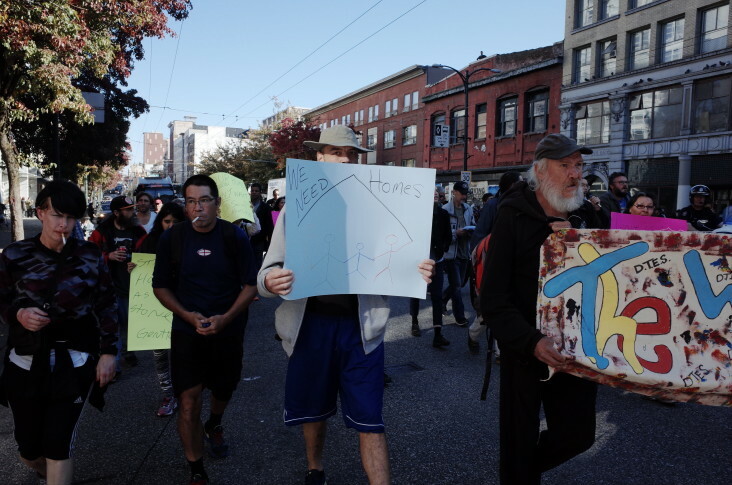 On October 17 2018, members of the Vancouver Area Network of Drug Users (VANDU), Our Homes Can’t Wait, Chinatown Action Group, Western Aboriginal Harm Reduction Society (WAHRS) and other supporters filled the street and marched to 58. 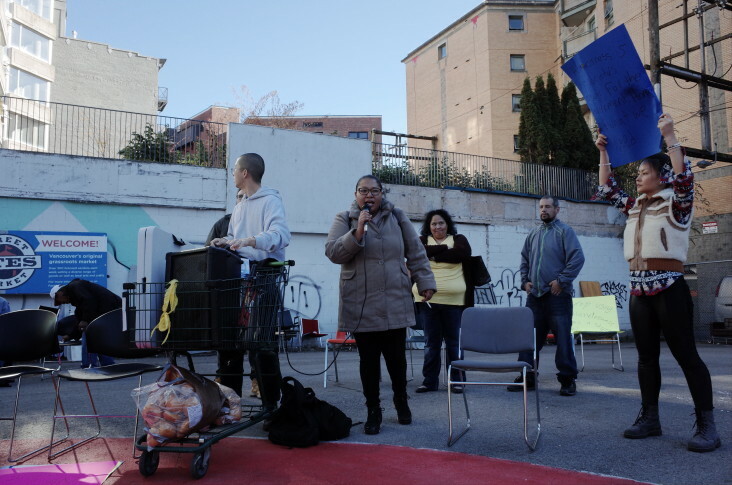 Supporters entered the property and spoke about the need for 100% welfare- and pension-rate community-controlled social housing while reminding us that if 58 is to be won, it will only be through collective, militant action. Mainlander editor Sungpil Yoon captured the event. Posted in 58 West Hastings, Action, City Hall, Downtown Eastside, Homelessness, Housing, Photo Essay and tagged 58 West Hastings, Downtown Eastside, Homelessness, housing, Our Homes Can't Wait Coalition, Social Housing, Vancouver City Council. Bookmark the permalink.